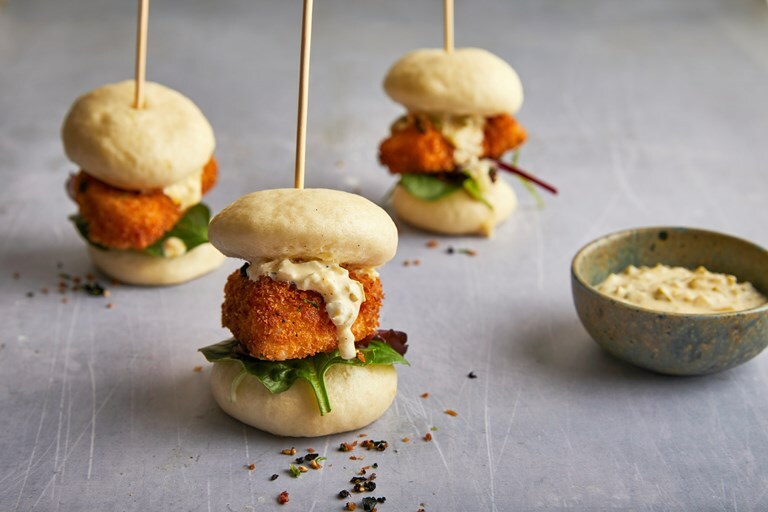 This fun and flavourful fish finger bao recipe is served with furikake seasoning and a delicious homemade tartare sauce. Furikake is a Japanese seasoning usually made from seaweed, and can be found in Asian supermarkets (it's also easy to make at home). 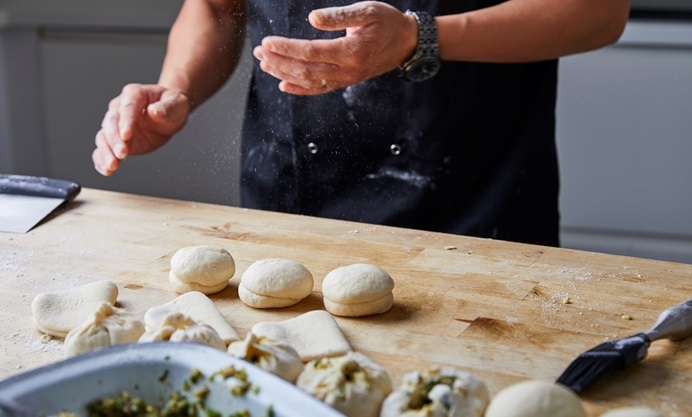 Follow Jeremy's bao dough recipe to make the cute slider buns. School of Wok founder, author and TV chef Jeremy Pang comes from three generations of Chinese chefs. Being surrounded by food connoisseurs, Jeremy developed his passion for food and soon realised the importance and correlation between basic cooking skills and eating well.